“Supermarionation” was a made up word by Gerry Anderson. In effect it was puppets like no other. Thunderbirds is still popular almost 50 years on. 1965 Thunderbirds was first shown under AP Films. This was later changed to Century 21 Productions. 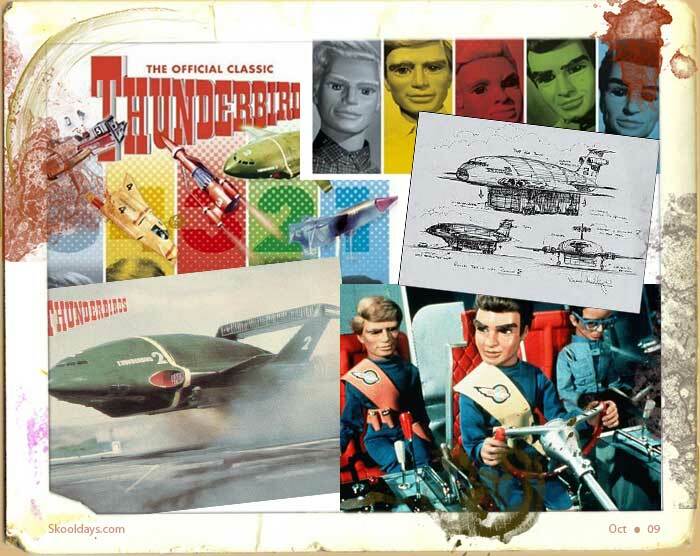 Thunderbirds were amongst his most popular creation with adventures of International Rescue, an organisation created to help those in grave danger using technically advanced equipment and machinery. The story line was based on a family with a father called Jeff Tracy, and his five sons. The father was an ex astronaut and thus had the knowledge and skill set to train his sons in the ability to rescue those in need. His sons were Scott Tracy , pilot of reconnisence rocket Thunderbird 1. Virgil Tracy, pilot of vehicle transporter Thunderbird 2. Alan Tracy, astronaut of space rocket Thunderbird 3. Gordon Tracy, aquanaut of submarine Thunderbird 4. John Tracy, operator of space station Thunderbird 5. Also Brains was a scientist and later in the Thunderbirds movie a pilot of tiger moth bi-plane Thunderbird 6. Lady Penelope was occasionally in the adventure, she was a London agent. Also Parker, whom was an ex criminal and Lady Penelope’s chauffeur. Lets not forget the famous Blue Peter Tracy Island too. Remember how a few egg boxes and toilet rolls became the Tracy island? After all these years Thunderbirds is still a great little series to watch, though slightly dated.Special effects a little corny – a real give away are the close ups where puppets are replaced with human hands on detailed shots. This entry was posted in Pop Culture, PrimeTime, Saturday and tagged 1960, 1970 by Skooldays. Bookmark the permalink.